A passenger transport manager plans, coordinates and manages passenger transport operations, which cover bus, train, tram, light rail, air, ship and ferry services. Although the job varies depending on the nature of the transport system and the size and type of employer, the focus is on making sure a quality service is provided at the right price. You'll typically be involved in the day-to-day operations management, finances and budget of the transport services, marketing and PR, strategic development, service planning and people management. Specific tasks vary depending on your level of responsibility. For example, if you're in a junior post, you'll be involved in customer contact and routine staff supervision. In a more senior position, you'll take on more strategic planning and project management work. use IT systems for tasks such as timetabling and managing usage flows. Starting salaries typically range from £18,000 to £24,000. With experience, salaries can be in the region of £25,000 to £35,000. Senior transport managers can earn in excess of £50,000. Salaries vary considerably depending on where you're based, on the sector you work in and the size of your employer. Benefits in the public sector can include flexitime, pension schemes and health insurance. In the private sector, benefits may include a company pension and free or reduced-cost travel with the company. You'll usually work 35 to 40 hours a week. Shift and weekend work is often required for operational roles. Part-time work or career breaks may be possible. The work can be office, site or depot based, with visits to see clients. Self-employment and freelance work are possible, although not common. The dress code varies but tends to be conservative with business-wear for the majority of organisations. Some roles involve regular travel, both within the UK and internationally. Graduate-management training schemes are available with major suppliers of passenger transport and they're open to graduates from a variety of subjects. Although postgraduate courses in transport studies are available, a pre-entry postgraduate qualification isn't essential. You can still work in passenger transport management if you don't have a degree, particularly if you have relevant sector experience, although you may need to start at a lower level and work your way up. an understanding of the transport sector. Some companies operate abroad or deal with international passengers, so language skills can be useful. You'll also need a clean driving licence. Work experience in a customer-focused environment, or general management experience from any sector, can help show employers that you have the necessary skills. tube and metro train companies. Some companies operate more than one type of transport system, for example buses, coaches and trains, which may provide broader career development opportunities. Local authorities employ transport managers to work on the planning, implementation and review of transport services. Organisations that own facilities such as stations, airports and ports recruit staff to deal with passenger information and support services to improve the travel experience. Opportunities also exist with specialist transport consultancies offering a range of transport-related services, and in environmental consultancies that may specialise in transport management and reducing the carbon impact of passenger travel. Local Government Jobs - for transport manager jobs with local authorities. The websites of major suppliers of passenger transport may also advertise vacancies. 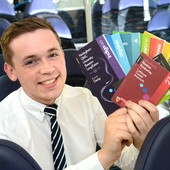 Many of the large suppliers of passenger transport have graduate training schemes. These usually last from six months to two years and consist of a mix of on-the-job and formal training. During the scheme you'll get to experience work in different departments to get an overview of the whole operation. Companies with overseas operations usually provide a work placement abroad, particularly if you've got relevant language skills. Most placements provide the opportunity for you to take on research and other projects, as well as to experience operational and strategic duties. If you're working in an operations role, you'll probably need to study for a Transport Manager Certificate of Professional Competence (CPC) in Passenger Transport Operations. The CPC is offered by various organisations including The Chartered Institute of Logistics and Transport (UK) - CILT(UK). You'll need to keep up to date with new techniques and legislation throughout your career. CILT(UK) provide support with your continuing professional development (CPD) and offer a range of professional qualifications in areas such as logistics and transport and operations management. With relevant qualifications and several years' management experience, including at least two at senior management level, you can apply for chartered membership of CILT(UK). There's no typical career path in passenger transport management and progression will depend to a certain extent on the type and size of employer you work for. In general, there's likely to be more career development opportunities with larger employers. Career progression often involves taking on a more strategic role. You might also take responsibility for a larger area of the business such as operations, customer relations, marketing, human resource management, facilities development, project management and application of IT systems. You may find there are well-established promotion routes to more senior posts with local authorities, for example head of a larger department that employs other professions such as environment or planning. Airlines, coach, ferry and some train companies are just as much linked with holiday and leisure travel as with business and everyday users. This means that with the right skills and experience you could make a move into jobs in the tourism sector. Experienced transport managers may find work in planning, consultancy and academia.